About Junior First Lego League and First Lego League. First Lego League Finals on december 13th 2014 in Eindhoven. With Marieke Peelen, Lennart de Graaf, Ronald Scheer and Ron Visser (left to right). 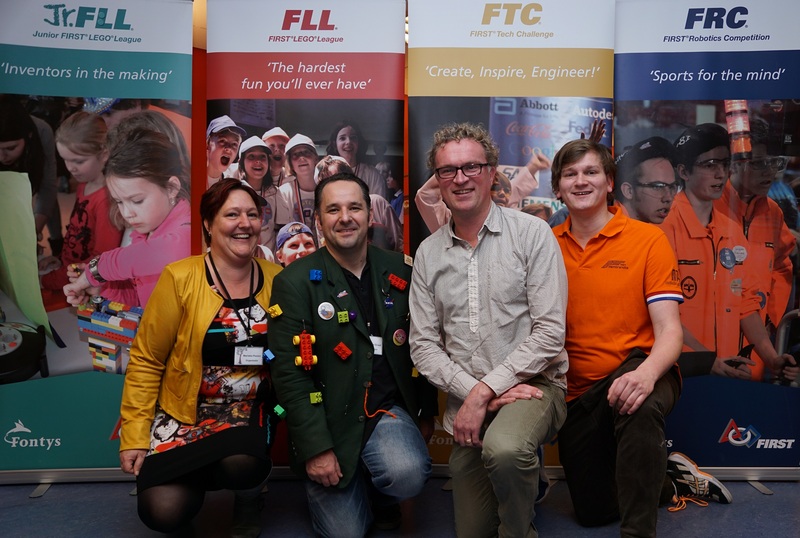 Marieke Peelen is FIRST ® Brabant regional FLL coordinator & Dutch FTC coordinator. 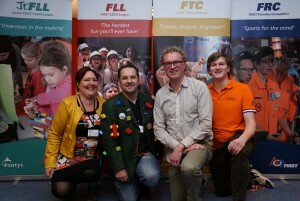 Ron Visser is FTC & FRC Co-ordinator FIRST ® Brabant.